No loudspeaker by Acoustic Research has been more influential than the original Acoustic Research AR-3 acoustic suspension speaker. The AR-1 had set a new benchmark for loudspeaker technology, but the AR-3 was so outstandingly accurate that experts had trouble identifying whether a recording or a live concert was playing in front of them. 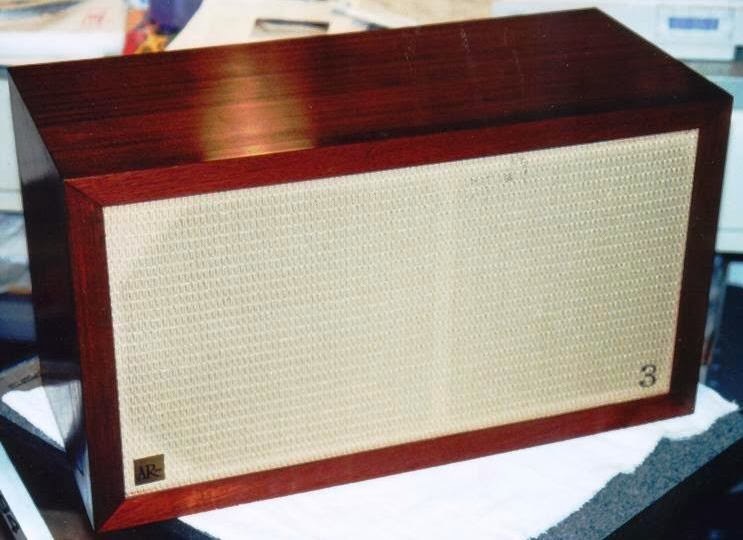 Let´s note here, that this is not the AR-3a speaker from 1967, but its prior version from 1958. The AR-3 speaker had been designed by Edgar Villchur, whereas the newer AR-3a speaker was designed by Roy Allison. Even though both speakers are fairly similar, the AR-3 has been a landmark for the loudspeaker industry and had been recognized by the public significantly more than the later AR-3a. he AR-3 entered the market in 1958, 4 years after the first ever acoustic suspension loudspeaker, the AR-1 was introduced. Acoustic Research had by then tested a new tweeter design, developed by Villchur, called the hemispherical dome direct radiator tweeter, which was used in the new AR-3 models. Besides the newly invented dome tweeter, Villchur´s loudspeaker also received the AR-1s woofer from 1954, which had been another speaker technology landmark, as it was the first ever commercial acoustic suspension speaker. The result was a speaker that produced music more accurately than any other speaker at its time and is until today one of the highest performing speakers available when measuring accuracy. This outstanding accuracy made the AR-3 speaker famous, and its reputation for being the "most accurate loudspeaker at any cost" led to its usage in many professional settings, such as concert halls or record studios. 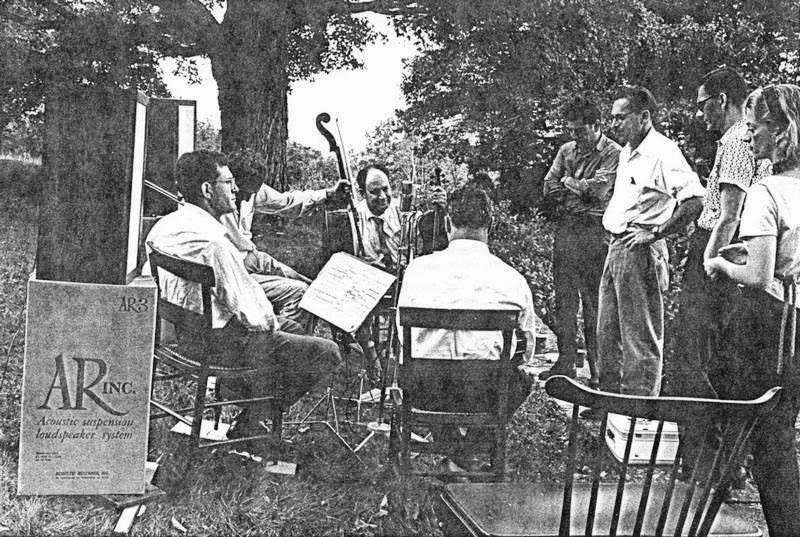 The reputation for unmet accuracy was underlined by a series of concerts during the 1960ies in which Acoustic Research directly compared a live string quartet with a recorded version of the same music played by the AR-3. Listeners were unable to detect the switch overs between recorded and live music, which supported the already established reputation of this loudspeaker and leaves a great impression as to how accurate this speaker has been. Even after the "improved" version of the AR-3, the newer AR-3a model was introduced to the market in the mid 60ies, Acoustic Research continued to manufacture the original AR-3, by then over 10 years old, until the 1970ies. Originally the grille cloth of the AR-3 was different from the AR-3a, but changed in the later half of the 1960ies (approx. 1967) and became identical to the one of the AR-3a. Early AR-3a had the cloth-surround alnico magnet woofers identical to the AR-3, which were already used in the AR-1. Later the AR-3, as well as the AR-3a were equipped with foam-surround ceramic magnet woofers. Crossovers of AR-3 and AR-3a are different: Mid / Tweeter: 1000 / 7500 Hz vs. 575 / 5000 Hz. The lower midrange of the AR-3a was better for dispersion. Overall it can be said that maintaining the original Acoustic Research AR-3 is more difficult than the newer AR-3a. Parts are not as easy to find and less AR-3s are on the market in general. However, a AR-3 restoration project is a well doable thing and many guides are available online to do so correctly. Iam a big fan of AR loudspeakers meanly the classic line. I have the AR2x. AR3aImproved, AR6,AR7 and AR38s. Hope someday the AR5, AR8 and the first model AR3 to have in my collection!! I live in Holland so i dont see a lot of vintage US beautys.. I bought a couple of Ar3a:s for my student allowance in the 70:ies. I still have them, I play them (on Dynacco tube-amps) still. Nowdays I also have a pair of 10pie speakers. They sound even better than the 3a:s but they have no grilles. They seem to be unfinished…that is they are in ply and the cabinets are pretty clean. Im reluctant to refinish them as the wood neutral colour suits our furnishings. There is a tiny tear in the grill cloth, but no matter. I cannot believe how naturalistic and wide the soundscape is. I may well replace the grills in time….but hey at twenty dollars I am a very happy man.